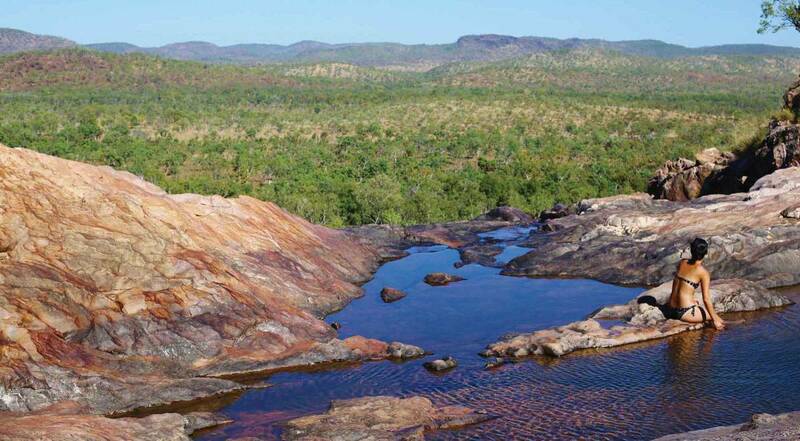 Explore the Northern Territory and its national parks in comfort and style with Britz Australia. 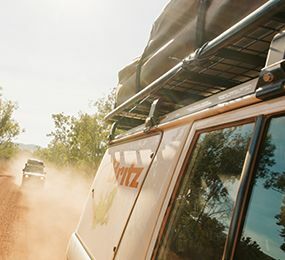 With multiple iconic 4WD itineraries throughout the Northern Territory, you can explore all the outback has to offer when you hire a 4x4 from Britz Darwin. 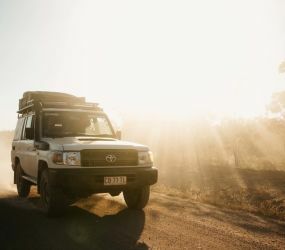 With so much to see and do around Darwin and the NT, you want to be sure you hire the right vehicle for the job, as well as have the best local knowledge on where to go. We've used many years of local experience to develop the perfect itineraries for you to enjoy and get a taste of the real Northern Territory. 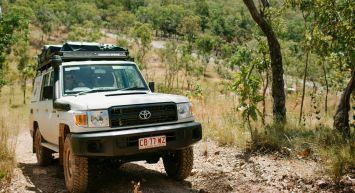 Having the right vehicle is key too, luckily Britz offers comprehensive 4WD hire, Darwin and Northern Territory-wide, with an extensive range of rental 4x4’s Darwin explorers can rely on to get them where they need to go. If you’re looking to explore everything Darwin & the Northern Territory have to offer, talk to the team in Darwin and they’ll be able to get you on your way. For more information or to Hire a 4WD from our Darwin branch call us today or book online. 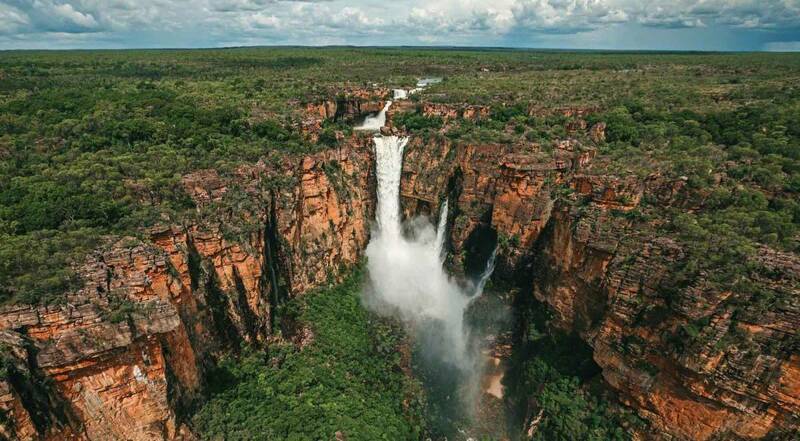 The largest national park in Australia, Kakadu stretches nearly 20,000 kilometres square - about half the size of the Netherlands. A World Heritage listed attraction, the park spans wetlands, rivers and sandstone escarpments, and provides a home to a wide range of plant and animal life. Highlights included the iconic Gunlom Falls and Jim Jam falls providing a great location to pause your 4WD hire and enjoy some of the magnificent scenery. Take a swim, have a picnic, relax and soak up the stunning surroundings. Aboriginal history is abundant here, with settlements stretching back 65,000 years. 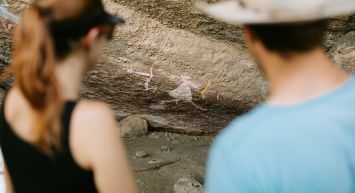 The influences are all around, in cave paintings and cultural sites at Nourlangie, Nanguluwur and Ubirr. 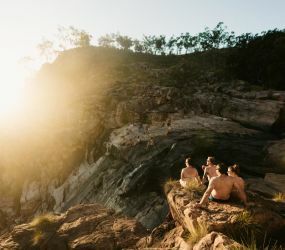 Significantly smaller than Kakadu, Lichfield National Park packs a punch for it's size, and is a must see if you're in the Top End. Home to several stunning waterfalls, magnetic termite mounds and clusters of weathered sandstone pillars at the Lost City. One of the most popular attractions for those on a 4WD trip is Buley Waterhole and the perfect place to stop off and cool down. Only 1.5 hours south of departing your 4WD hire in Darwin, Buley features a cascading collection of rock pools to explore and cool off in. Situated on the Katherine River, Katherine is the fourth largest settlement in the area, although when we say large, in this part of the world we mean about 6000 residents. The famous Nitmiluk National Park (Katherine Gorge) is well worth a stop off. Cruise up the gorge, explore via canoe or get out and foot for a walking adventure. For those in the area for a few days, it's well worth taking a charter plane to really soak up the views. Edith Falls is a short 45-minute drive from Nitmiluk National Park. A spring-fed waterfall, it flows all year round and provides a perfect side trip from your 4WD hire itinerary to swim and walk around. An iconic Australia site, and voted as 4th best region in the world to visit by Lonely Planet, Uluru, also known as Ayers Rock is one of the most popular locations in the Northern Territory's Red Centre. To the local Aboriginal people, Uluru is an area of special cultural significance and provides an excellent opportunity to educate yourself on this unique culture through tours and cave paintings. Standing at 348 metres high, the iconic sandstone mound sees many visitors flock to it at sunrise and sunset to catch a glimpse of the amazing colours as the sun's rays reflect from it. Darwin itself is worth spending a little time soaking up before moving onto the National Parks and the Unesco World Heritage Listed sites. Famous for its sparkling harbour and fabulous food you'll find plenty to do in Darwin itself. Head to Mindil Beach and soak up the scenic beach with its famous sunset markets, treat your taste buds in the city's dining hub bursting with a variety of restaurants and explore Crocosaurus Cove - perhaps the best way to get up to a croc whilst in the NT. See more on Darwin & the Northern Territory's must do's. 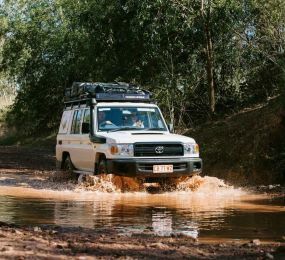 If you're after a true 4WD adventure in the Northern Territory, you're not going to be disappointed. 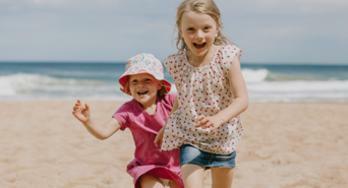 Boasting World Heritage listed sites, iconic locations and a rich history dating back to the 1800's, there's a little something for everyone. Take a trip through multiple stunning national parks in Nature's Way, explore the red desert sands of Uluru and Alice Springs, or enjoy the endless views and everchanging landscapes of the Explorers Way. Our 4WD hire vehicles come in all shapes and sizes, so we'll be able to suit your adventurous needs. For those keen to go on the most rugged adventures, the Safari Landcruiser is a great option. Based on the legendary Toyota Landcruiser chassis, the manual transmission and 4WD capabilities provide the perfect vehicle for 5 people to use as a base. 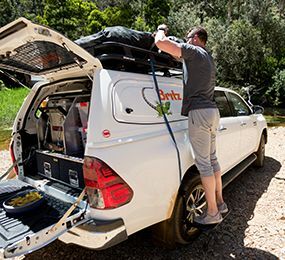 The Outback, built on the Toyota Hilux chassis provides the perfect mix between comfort and offroad ability. With a standalone tent sleeping up to 5, automatic transmission and plenty of storage space, it accommodates everyone, from couples to groups of friends. The Scout is the perfect vehicle for couples looking for all the comforts of a campervan, but with the ability to get off road. With an internal bed, roll out kitchen and plenty of storage space, you'll be able to hit the road with all your creature comforts.